The county’s opening round fixture in this year’s Connacht Championship – against New York over in Gaelic Park – is now little more than three weeks away and so supporters’ thoughts are starting to turn to this game, especially those heading across the Atlantic for the occasion. I’m staying put here myself that weekend – as it’s my son’s football Féile weekend with his team up here in Dublin then – but thousands are, I know, planning to get to New York for the game. The large numbers who are going over has, understandably, given rise to concerns about getting into the match, not least given the small capacity at Gaelic Park, which is reportedly limited to around 4,500. 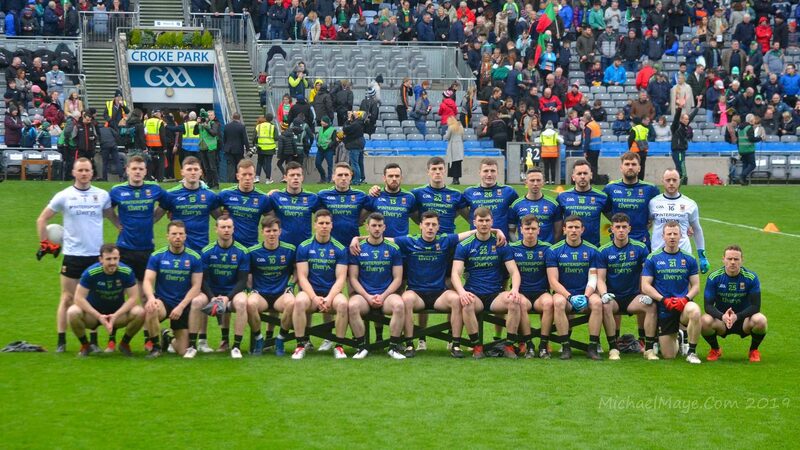 The ticket information about the game provided last week by Connacht GAA (here) wasn’t overly helpful in this regard, though New York GAA did provide a bit more in the way of useful detail – here. Mike Finnerty has a good piece, though, in this week’s Mayo News (here), which expands a bit more on the ticket issue. In it, he explains that clubs within the county are expected to get in the region of ten tickets each for distribution. On top of this, a small number of tickets will be on sale, on a first-come-first-served basis, at the ground on the morning of the game. Mike expands on this issue in the latest episode of the Mayo News football podcast, which, if you haven’t listened to it yet, is worth doing (it’s here). On the podcast, Mike says that, based on conversations he’s had, there seems to be a bit more optimism about supporters’ ability to get into the game. Mike says his sources tell him that the “the vast majority” of those heading over to America for the game should be able to get into Gaelic Park. This, he says, is because some work is being done on the ground ahead of the match, which should have the effect of raising the capacity somewhat. Mike quotes Connacht Council Secretary, John Prenty, who reckons that 90% of those who want to go to the game should be able to get a ticket for it. Mike cautions, however, that John Prenty went on to say that punters shouldn’t be expecting a Lower Cusack Section 308 kind of experience for this fixture. If you get inside the gate on the day at all, you’ll be doing well. Key to getting in will, of course, be to get to Gaelic Park early that morning. The main match throws in at 2.15pm local time that day (that’s 7.15pm over here) but the gates open that morning at 8.30am. That’s the kind of time – or earlier – you’d need to be thinking about getting to the ground if you’re to be sure of making it inside. So, in the city that never sleeps, an early start that morning will be vital for all Mayo supporters if they’re to catch the county’s opening match in this year’s Championship. Can’t wait, going to be fun (assuming the weather behaves!). As I’ve written previously, 3 rooms in the city and 7 tix needed. Expecting to see the sun rise, lol. Hopefully meet a few of you fanatics too! Will there be a limit on number of tickets sold per person (capped at 4 would work for me)? No readmittance once you enter but it would be nice to not have to go in right away. I should be treated to a nice brunch if I’m the one losing sleep! Not much in the way of brunch in Kingsbridge though the Bronx Ale House on 238th between Broadway and Bailey is worth a shout or the Pipers Kilt on 231st and Albany Crescent. Further options to be found up in Riverdale and in Woodlawn. Thanks R for the suggestions. Hopefully the Mayo Day Jersey is available to US fans. The magic Blue ones were Ireland only. Three in our group and no tickets and not even a whiff of a ticket. 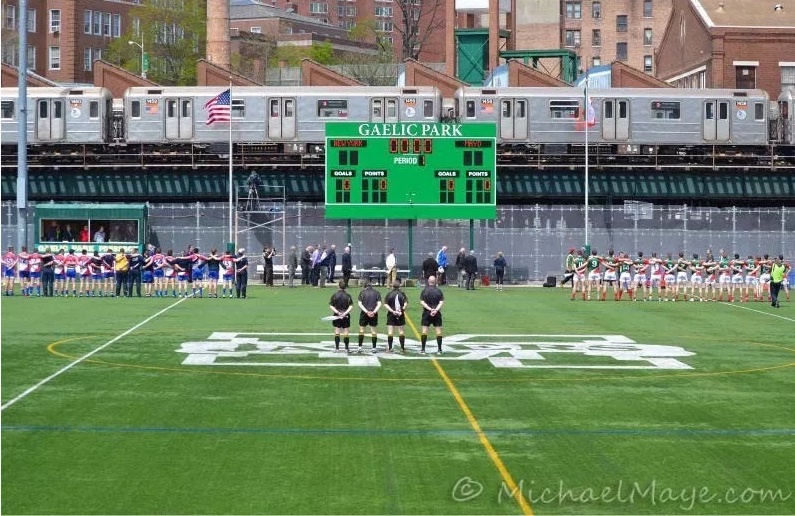 My understanding is that they’re not “selling tickets” at Gaelic Park ie you cant buy your ticket, leave and come back for the game a few hours later. You pay your $30 at the gate and immediately enter the park. As a plan B will any of the local Irish bars be showing it in a big screen? Does anyone know if a person could possibly stay in Trump Tower in New York? … not information for me personally, I’m not going but one or two that I know, would like to stay in the Lap of Luxury, and be sure to come back with a very bronze tan, they seem to be under the impression that you might be able to Top up the Sun Tan there, if it was to be a rainy weekend in the Big Apple,… honestly whatever did they get that idea from? The closer the time comes the more envious I become of those making the trip.Its going to be a fantastic break..Massive crew going from Castlebar alone. Whitey, there is a massive marquee beside the pitch which probably holds the same again if you can’t get in. Each of the players get 4 tix if ye know anyone, otherwise, try diaspora in NYC! Anyone know if this game will be shown on TV, or GAA-Go? If not – is anyone that is going to be there willing to stick it up on facebook live or Periscope?. Looking forward to my second trip to this fixture but not looking forward to the hassle of trying to get a ticket. Club member, season ticket holder, club coach and administrator but yet still not certain of getting a ticket. W.J., I seem to remember doing a match report for this fixture in 2014 if I remember rightly? Thanks Goinwell…..I was there in 2014 and it’s a miracle no one got seriously injured or killed. I’d be all for going to the Marquee as long as there’s some semblance of order in there. RIP John Durkan. Aka St Patrick. Massive mayo fan and gas character. Guaranteed he brought a smile to your face at some match or other over the years. John Prenty ‘90% of people who want to go to the game will get a ticket for it’. If Capacity is 4500 people does that mean they only expect 5000 people to be looking for tickets?? Hopefully lives wont be put at risk by overcrowding. JP2 – if there’s word on that and it’s published, that’s fine to discuss here. That doesn’t mean anyone should start posting any hot gossip they might have in that vein, which isn’t okay if it hasn’t been confirmed officially. I played for ny mayo myself out there for years 80s n 90s, was a farce then and unbelievable that it’s still in disarray, I believe bar n function room closed off….marquee, don’t know were they put that, unless they camp it above on elevated tracks on no. 1 line ..ha.